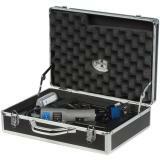 This carrying case, with a pre-molded interior, keeps your clipper or shearing machine and accessories nice and tidy. Also protects them from damage. Case is supplied with a 4 oz bottle of oil, manual and keys for locking if desired. All other accessories are sold separately. NOTE: Case is free with Premier's clipper package and shearing package. 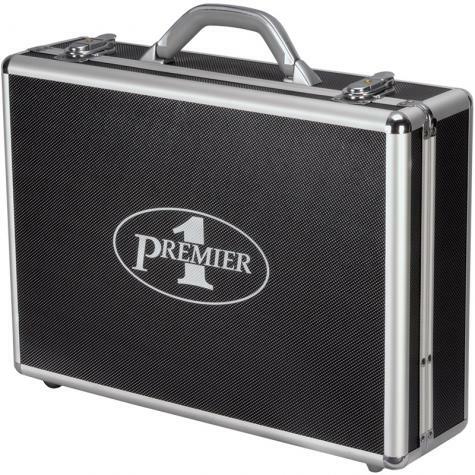 Overall, an improved case that can quickly bolster the look of your equipment whether at home or at a show. Designed exclusively for Premier machines. I really do like this case, I thought it might not be necessary but the way the trays hold everything in place, it is very handy. I have even dropped it and no damage. It is tidy, sleek and does not take up nearly as much room as the tackle box my old/ blue clippers came in.